"Finding Balance in an unbalanced World"
'Yin Yang Yoga' the best of both! The perfect balance to our ‘On the Go Life Styles’. 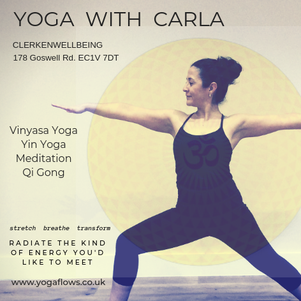 Starting with a flowing, Vinyasa Yoga (Yang), interlaced with Qi Gong and Tai Chi inspired Yoga Flows; getting the body and stagnant energy moving, as we begin to wring out all the stresses of the working day, both physically and mentally. 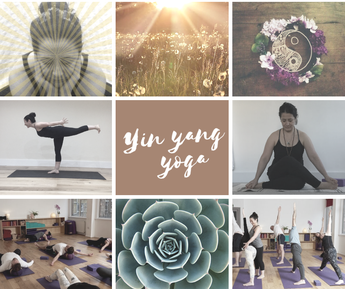 Flowing effortlessly into second of half of our class; a wonderfully nourishing, releasing and restoring Yin Yoga practice. Mindful long held floor based stretches (3-5 mins); targeting the deep connective tissue, ligaments and fascia of the body; increasing our flexibility, rebalancing our energy, whilst allowing for the mind and nervous system to settle down deeply into a calming meditative state. Open to all those wishing to find a little more Balance, Ease and Flexibility in our everyday lives. A great way to start your week!